2015 წლის 10 ივნისს, ქ. ქუთაისში, გუგუნავას ქ. #1-ში, აფხაზეთის ავტონომიური რესპუბლიკის მთავრობის მიერ შექმნილი სსიპ "აფხაზეთიდან იძულებით გადაადგილებულ პირთა სტაჟირების, კვალიფიკაციის ამაღლების და დასაქმების ხელშეწყობის ცენტრი-ბიზნესინკუბატორში" დასუფთავების აქცია გაიმართა. აქციაში ჩართული იყვნენ აფხაზეთის ავტონომიური რესპუბლიკის მთავრობის აპარატის, იმერეთისა და სამეგრელო-ზემო სვანეთის წარმომადგენლობისა და მისი სხვადასხვა უწყების თანამშრომლები. პარალელურად, აქციის მონაწილენი გაეცნენ "ბიზნესინკუბატორში" შემოყვანილ და საიჯარო ხელშეკრულებების საფუძველზე მოქმედ 6 მცირე ბიზნესის წარმომადგენელი კომპანიის, 1 სოციალური საწარმო „თერნალი+“-ის და ამ პროექტის ავტორი და წამყვანი ასოციაცია "მშვიდობიანი და საქმიანი კავკასია“ -ს (ამსკ) მიმდინარე საქმიანობას, მის სამომავლო გეგმებს. აქციის მონაწილეები გაეცნენ 2015 წლის თებერვალში აფხაზეთის ა.რ. მთავრობისა და USAID/NEO-ს მიერ ერთობლივად ინიცირებულ, აფხაზეთიდან და სამხრეთ ოსეთიდან იძულებით გადაადგილებული პირების, ასევე, საოკუპაციო ხაზების პირას მცხოვრები მოსახლეობის დასაქმებისკენ მიმართულ, სასათბურე მეურნეობების განვითარების პროექტის იმ კომპონენტს, რომელიც "ბიზნესინკუბატორში" სასწავლო/სადემონსტრაციო სათბურის მოწყობას ითვალისწინებს. ამ პროექტის სულის ჩამდგმელია აფხაზეთის ა.რ. სოფლის მეურნეობის, გარემოს დაცვისა და ბუნებრივი რესურსების დეპარტამენტი, აფხაზეთის ა.რ. ფინანსთა და ეკონომიკის სამინისტრო, სხვა სამსახურები. ისინი აქტიურად თანამშრომლობენ. სსიპ "ბიზნესინკუბატორთან" მალე მოეწყობა მცირემიწიანი დამწყები ფერმერებისთვის სასწავლო/სადემონსტრაციო, ორგანული სასათბურე მეურნეობა, თავისი საგამოფენო/სავაჭრო პავილიონით. პროექტის შედეგად, სამეგრელოსა და გორის რაიონებში იქმნება 58 ფერმერული მეურნეობა, სათბურების საერთო ფართით 4,3 ჰა. დასაქმდება 200–მდე დევნილი და საოკუპაციო ხაზების პირას მცხოვრები,დაბალ შემოსავლიანი ოჯახების წარმომადგენლები. პროექტის განხორციელება შესაძლებელი გახდა,საქართველოს ეკონომიკის სამინისტროს გადაწყვეტილებით, რუსთავში ათეულ წლობით უმოქმედოდ არსებული სასათბურე კონსტრუქციების აფხაზეთის მთავრობისათვის უვადო სარგებლობაში გადმოცემის შედეგად. ღონისძიების დასასრულს, აფხაზეთის ა.რ. მთავრობის თავმჯდომარემ ბ-ნმა ვ. ყოლბაიამ აქციის მონაწილეებს მადლობა გადაუხადა და უთხრა მათ: „ბიზნესინკუბატორს" სერიოზული გეგმები აქვს, მისი სრულად ამუშავება დევნილ საზოგადოებას მისცემს დასაქმების, წინსვლისა და განვითარების საშუალებას. ასევე ითქვა, რომ გაგრძელდეს მიზანდასახული მუშაობა იძულებით გადაადგილებულ პირთა დასაქმებისკენ ორიენტირებული პროექტების შესამუშავებლად. 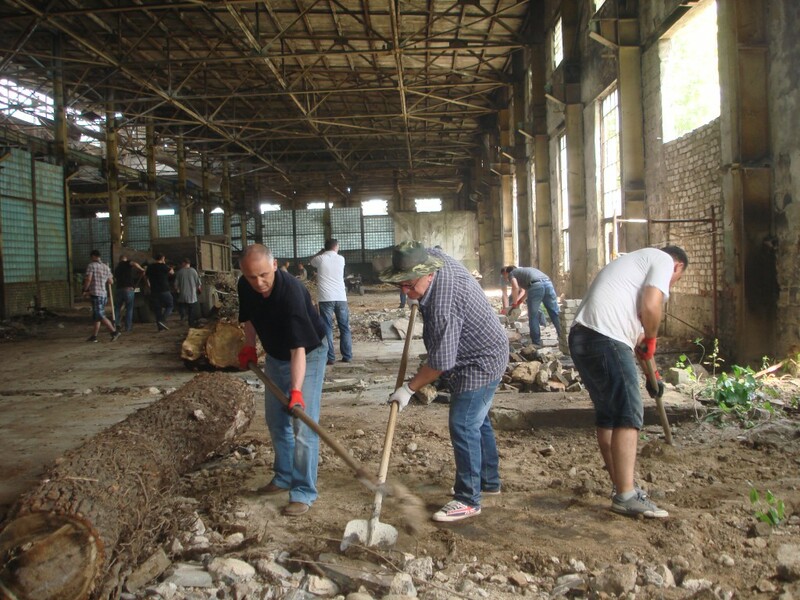 In June 10, 2015 clean-up activity took place at legal entity `Business Incubator- Internship and employment center for Abkhazian Internally Displaced People` located at 1 Gugunava street, Kutaisi. Representatives the governments of Abkhazian A.R., Imereti, Samegrelo-Zemo Svaneti and various officials participated in the activity. During the event the participants learnt about the current activities and future plans of 6 small business companies and one social enterprise `Ternali+` operating under the `Business Incubator` and the founder of `Business Incubator` Association Peaceful and Business Caucasus (APBC). Clean-up activity participants also got detailed information about the training/demonstration greenhouse farm project that will be constructed near the `Business Incubator`. 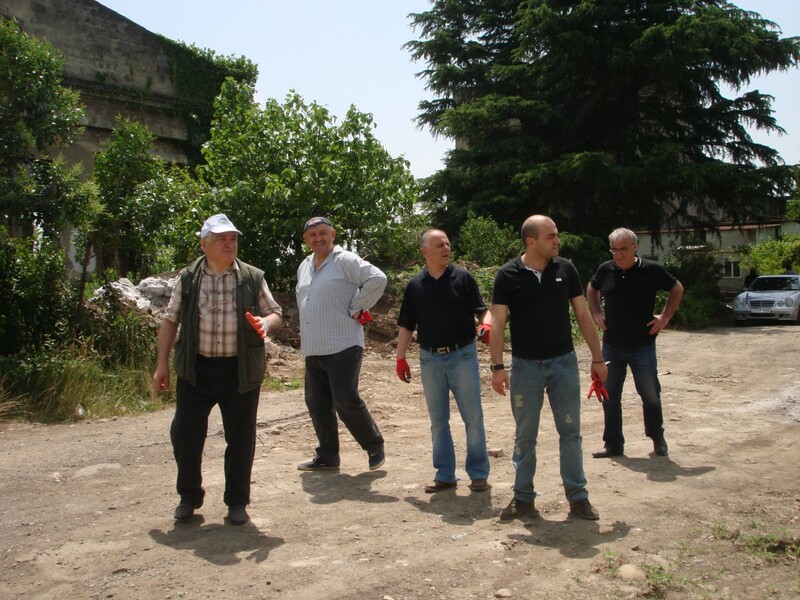 This project was initiated by the government of Abkhazian A.R. and USAID/NEO in February 2015 to support employment of internally displaced population (IDP) from Abkhazia and South Ossetia and also people living near the occupation lines. The basic initiator of this project is the Ministry of Agriculture, Environment and Natural resource department of Abkhazian A.R. also the ministry of finance and economy and other structures. They actively cooperate. 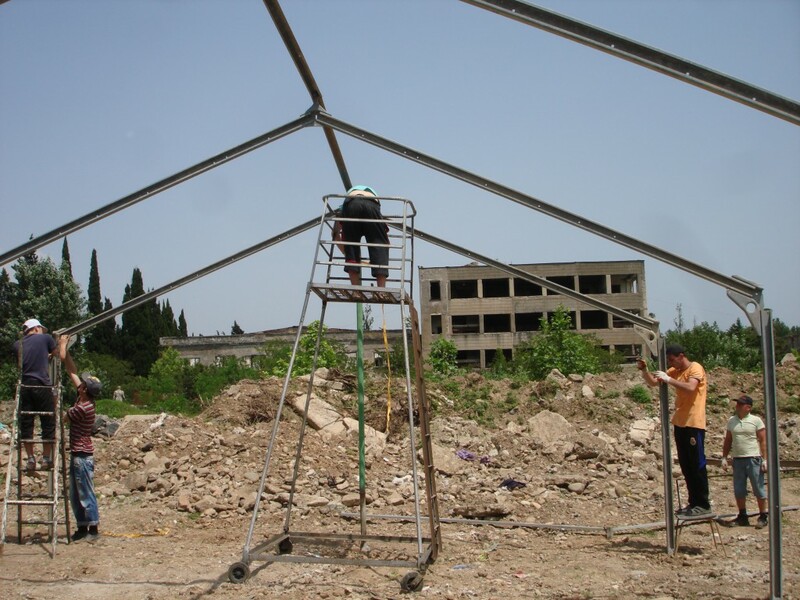 Training/demonstration organic greenhouse farm with the trade exhibition pavilion will be arranged near the Legal Entity `Business Incubator`. As a result of this project there will function 58 greenhouse farms in Samegrelo and Gori regions with the total area of 4,3 he. Up to 200 IDPs and vulnerable population near the occupation lines will be employed. 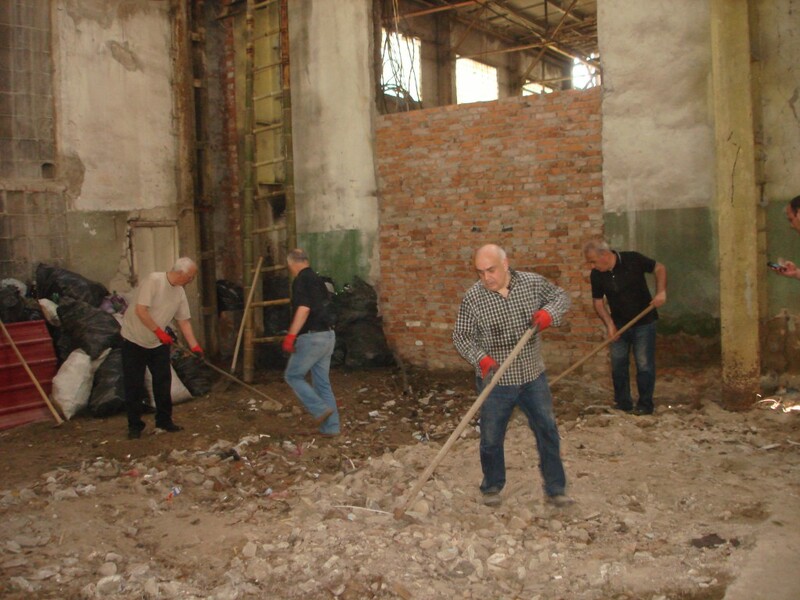 The Ministry of Economy of Georgia had made the decision to give the abandoned greenhouse constructions in Rustavi to the Abkhazian government free of charge for long -term usage. This decision enabled the implementation of the greenhouse project. 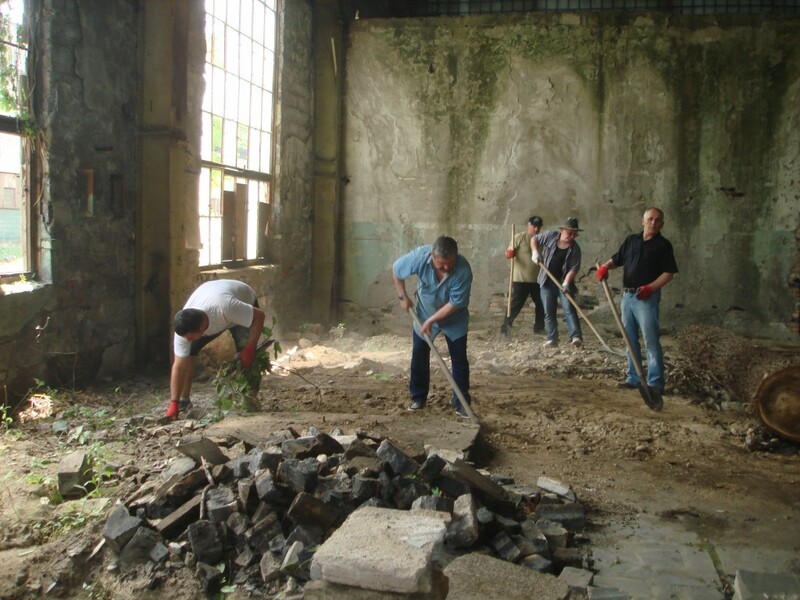 By the end of the clean-up activity Mr.V. Kolbaia –a head of the Abkhazian A.R expressed his gratitude towards the participants and said: `Business Incubator ` has serious plans, its total activation will bring the IDP society employment and development opportunity. It is important to continue active works on IDP employment projects.